Students at the Dwight Schools in Seoul, New York and London put on a concert in Carnegie Hall in New York on Jan. 31, as part of the schools’ international program. 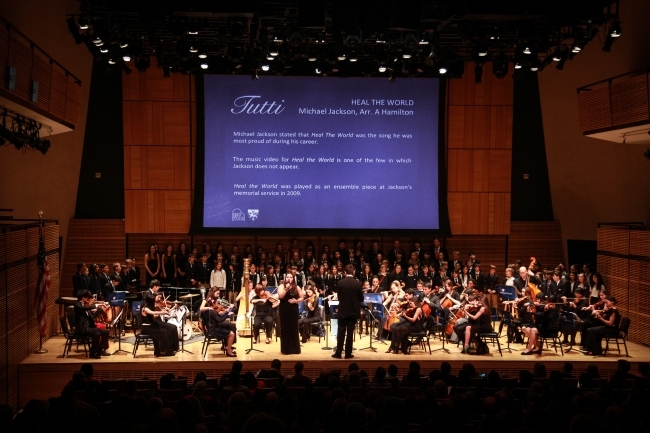 Under the program, 11 high school students from Seoul performed in the “Tutti,” an event designed to bring together Dwight students in grades 4-12 from three continents to collaborate as artists and share the universal language of music. “Watching Dwight School Seoul musicians perform alongside its sister schools from New York and London was a remarkable experience,” said Kevin Skeoch, head of Dwight School Seoul. He added that the event ignited a “spark of genius” ― which, according to Dwight School Seoul, is the shared educational goal of Dwight Schools ― in the students.